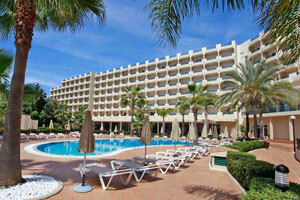 RIU Hotels & Resorts has reopened the ClubHotel Riu Guarana in Portugal following its renovation. The all-inclusive resort is located in the Algarve, a few metres from Praia de Falesia. The hotel’s 500 rooms are spread over two buildings and were recently updated. The hotel’s common spaces, such as the reception area and lobby, were also renovated as were the swimming pools – two outdoor, one indoor, and one for kids – and the Jacuzzi area. The renovation also included all bars and restaurants. Guests will be able to continue to enjoy shows and live music, practice sports like tennis and volleyball on the hotel’s courts, participate in the RiuFit program and relax in the Spa del Mar. There is also RiuLand, a club for kids.